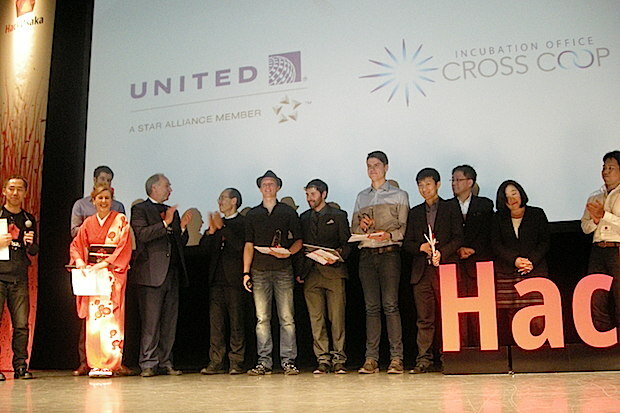 HackOsaka 2014, held earlier this month in Osaka, featured a pitch contest where 10 startups pitched their services and products. I’d like to introduce the prize winning startups below. Awarded 500,000 yen ($5000), a round-trip ticket to London sponsored by British Airways, a Pebble Watch. Waygo is a translation app using that uses OCR technology. When the user scans Chinese sentences with their smartphone camera, the app will translate that sentence into English even without an internet connection. We previously mentioned this app when we covered Echelon 2013 and Innovation Weekend Grand Finale 2013. Last year, the startup took part in 500 Startups’ incubation program, and subsequently raised $900,000. CEO Ryan Rogowski shared two updates at the event. 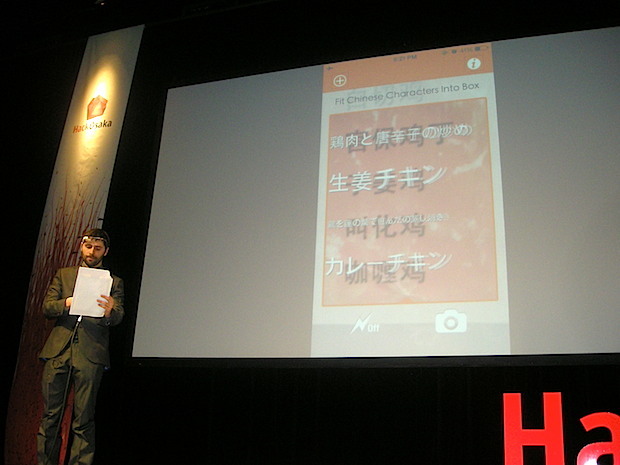 The first is that they are going to release a new version of their app that translates Chinese into Japanese. The other (and perhaps the most interesting one) is that they are now developing a prototype app for Google Glass. Many people need to make international money transfers. But service charges at banks can be expensive, as are other transfer services like Western Union. TransferGo will then send the money from the TransferGo’s local account to a TransferGo account in the recipient’s country, and then on to the recipient. The transfer fee is £2.50 plus 1.5% of the total amount of transferred. The company’s real rate of return is pretty high at 70%, and they have acquired licenses from authorities in the countries where they offer the service. TransferGo was launched in May of 2013, and the number of the transfers in the first month was 941. But in January of 2014, that number shot up to 6,837. Currently they have 21,000 users and 98% of them said they want to recommend the service to friends. 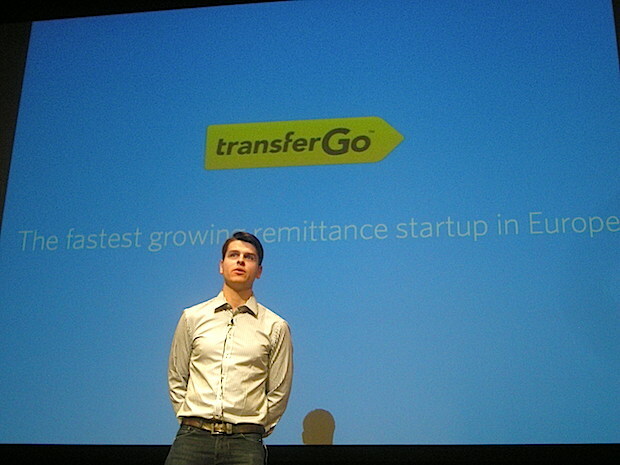 TransferGo is currently only available in Europe, but the startup aims to expand to other areas, including Asia. 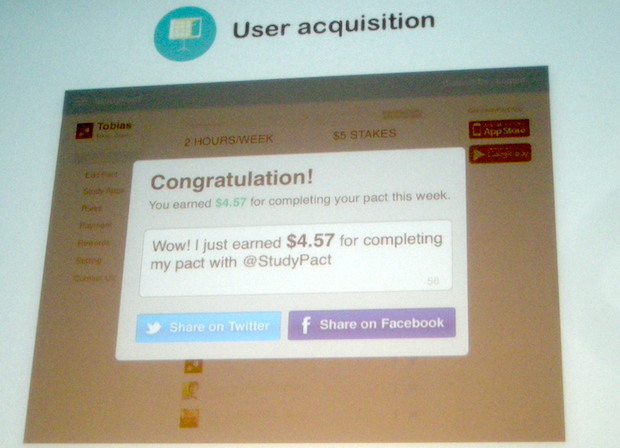 StudyPact is a service that lets users to set a study goal and monetary stakes as as sort of bet with themselves. For example, you can set a goal of studying English for two hours a week, and then set the target stakes at $5. If you reach that goal, you get $5, but if not, you have to pay $5. In the event that you have to pay, the fee is split in half among users who supported the goal and the rest will go to StudyPact. To realize more effective learning platforms, the startups plans to tie up with other educational platforms and services like Duolingo, Anki, Memrise, Coursera and Edx. The prototype that implemented Anki is expected to be released in early March, and there are plans develop apps for Android, Chrome, FireFox and iPhone. They’re now participating in an accelerator program hosted by Open Network Lab, so let’s wait and see what they present at the demo day in a few months. Awarded 1-year free pass to co-working spaces run by Crosscorp in Singapore, Jakarta, Delhi, and Ho Chi Minh City. 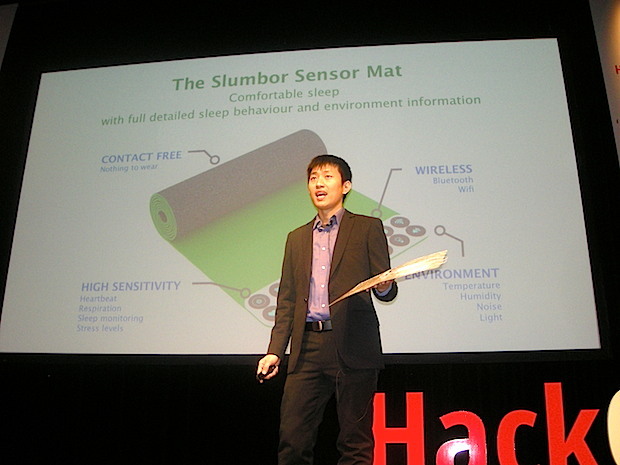 Slumbor is a Singapore-based startup producing a sort of smart mat designed to be put under your pillow. The mat has sensors that acquire various data, which are then transferred to the user’s smartphone via BLE (Bluetooth Low Energy). 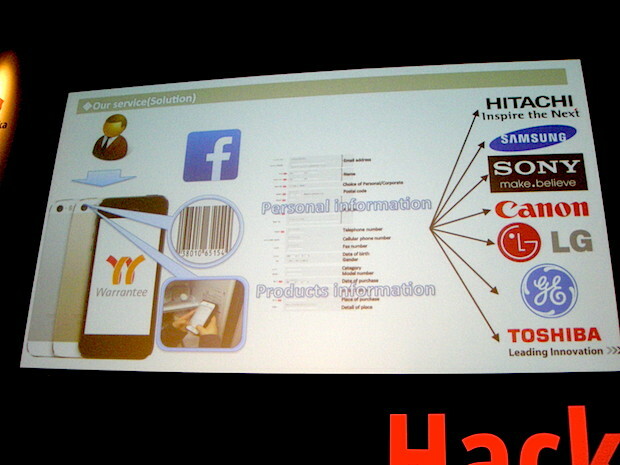 The startup currently attends a program run by the IoT incubator, HAXLR8R. They plan to raise funds at Kickstarter later on. In addition to these four prize winners, I’d like to introduce two more startups that stood out for me in the competition. Ontrox is a startup aspiring to reduce traffic jams by using big data. 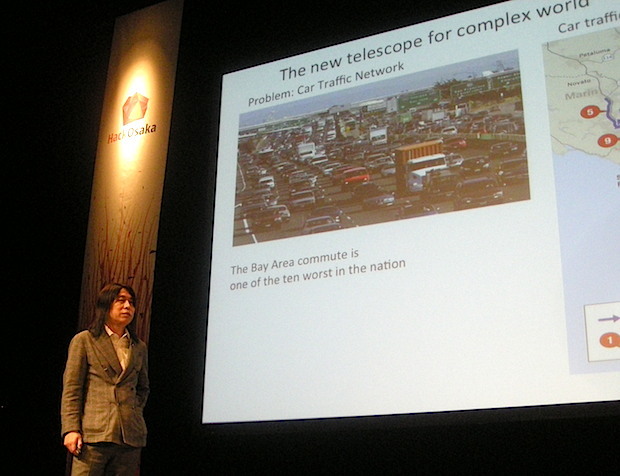 The CEO says that by using such data, you can see certain patterns of traffic jams in cities. The advantage of Ontrox, he says, lies in their unique technology that can visualize the pattern of traffic jams and shorten the processing time for visualization. The same technology can be used for other purposes such as analyzing and optimizing computer network data, or analyzing users’ online behavior on e-commerce sites. The startup was selected as one of 10 startups to participate in SVIP (Silicon Valley Innovative Program) hosted by the Japan External Trade Organization, which aims to launch global services from Silicon Valley. 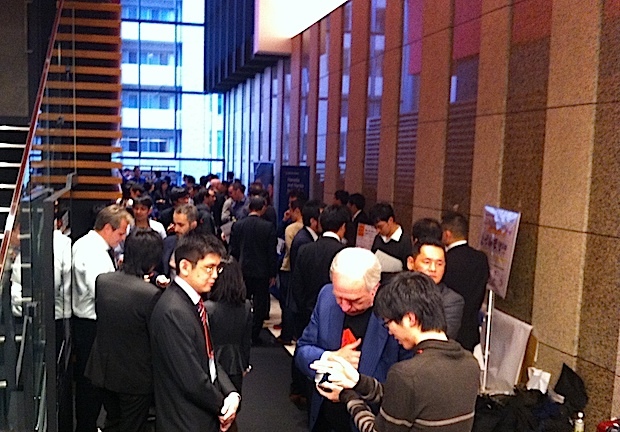 Warrantee, an Osaka-based startup, aims to digitalize product warranties. When you buy a product, you typically have to fill out information on a paper form to validate the warranty. But because this is a time consuming process, many users skip it. Warrantee proposes a one-stop process, registering personal data in advance on their service. In this way the user can quickly register warranties for different products or from different companies. There are many cases where retail stores offer additional paid warranties, so the startup plans to earn a service charge from retailers by motivating users to opt into such additional warranties. Another business opportunity lies in tying up with retailers, allowing them to utilize user data accumulated on Warrantee for the retailer promotions.